The Middlesex Sheriff’s Office has officially welcomed the newest member of its K-9 Unit to the department. 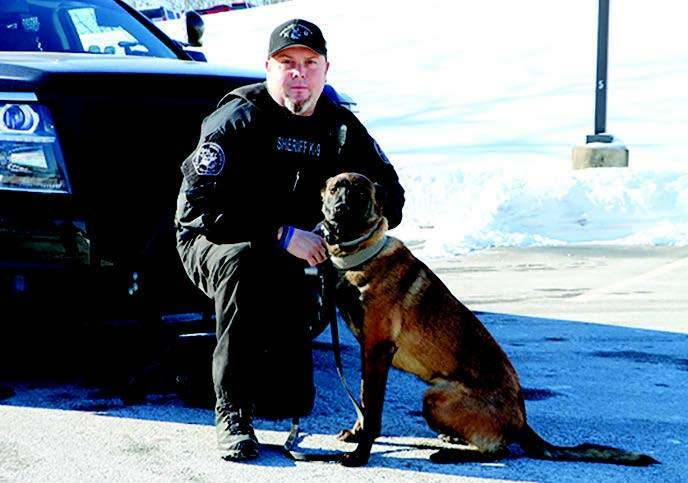 Lieutenant Mike Kelley and his partner Dali. K-9 Dali, a two-year-old Belgian Malinois from Georgia, began work at the end of November. Dali, who is partnered with Lieutenant Mike Kelley, was obtained through a grant from Dogs for Law Enforcement. Dali is a dual purpose K-9, having completed courses with the MBTA Transit Police K-9 Training Unit for patrol and explosives detection. Dali joins Pebbles and Elmo as members of the MSO’s K-9 Unit. In addition to providing security at the Middlesex Jail & House of Correction, members of the unit provide direct support to local law enforcement, as well as through the Northeastern Massachusetts Law Enforcement Council (NEMLEC). Next Post MBTA Maintenance Facility Sold?